It's finally happened... The first heat wave of the year and right on time. 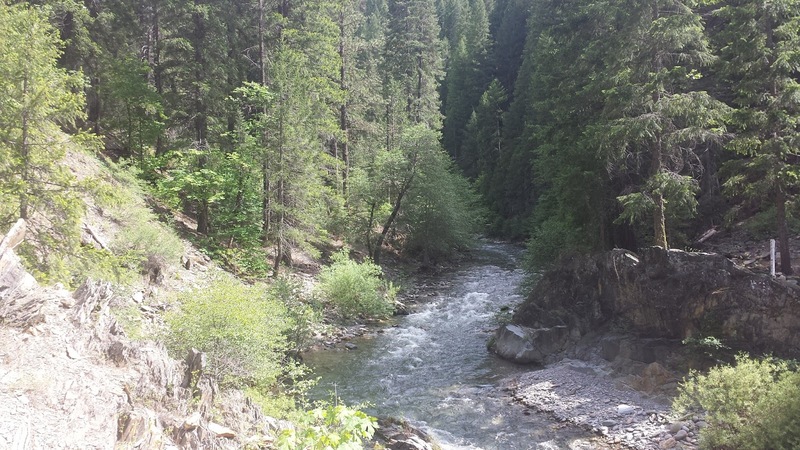 This weekend Manda and I set out to explore Chips Creek, a tributary of the NFFR, and visit the MFFR. The water is running a bit high throughout Plumas County but more is better than less. Chips Creek is a small tributary along HWY 70 that feeds the NFFR. The access to the creek was good but with the higher flows it was hard to get around. I wasn't able to go as far as I would have liked upstream but I did manage to find a few good eats here and there on nymphs. I heard that there are some big fish in this tributary and after hooking one and losing it I can confirm the rumors are true. 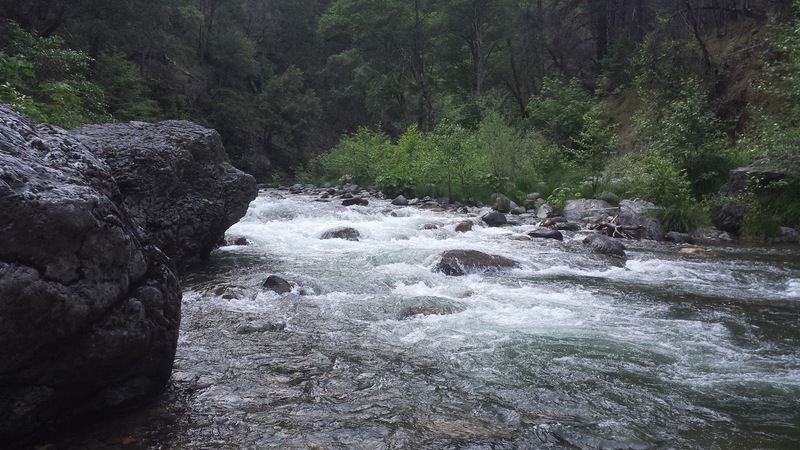 Chips Creek was a fun stream to explore and I look forward to fishing it more when the flows go down. Yellow Creek is one of the most well-known tributaries of the NFFR. 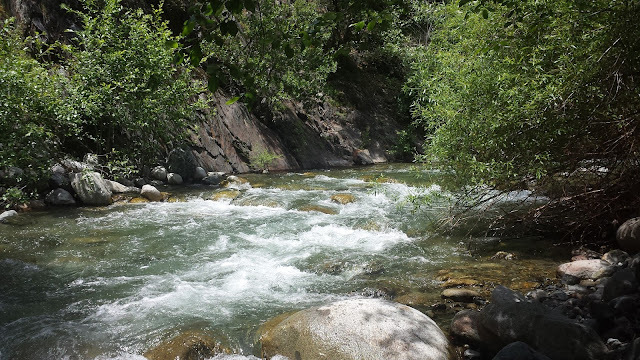 Unlike Chips Creek, Yellow Creek has a dedicated trail that parallels the creek as you hike upstream. 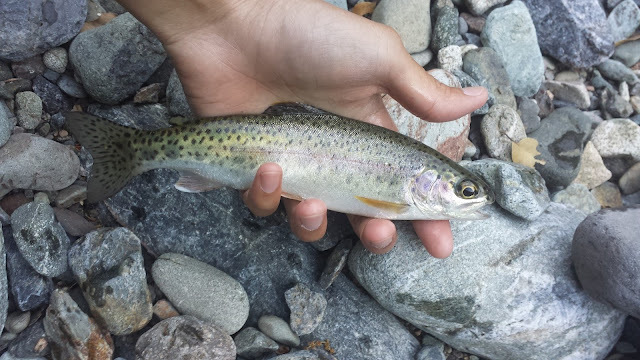 Yellow Creek rainbows seem to prefer dries over nymphs. 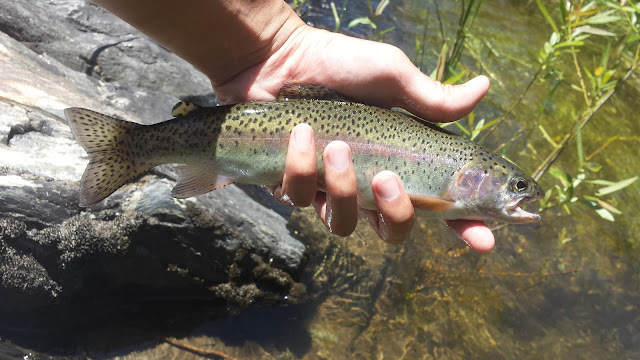 Each time I visit the creek it seems like a good drift with a dry fly produces more fish than dead drifting nymphs. The fish here aren't very big but they fight like strong wild rainbows. 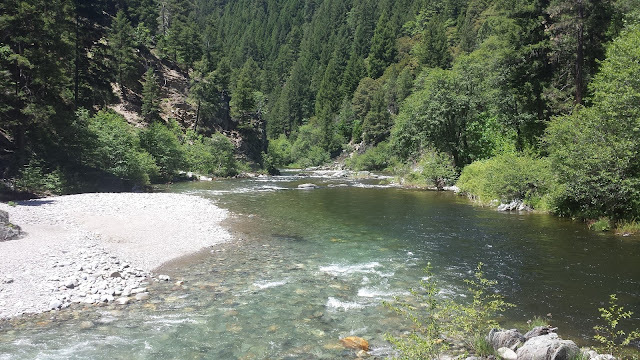 My visit to the Middle Fork during last year's Memorial Day weekend was such a great experience that I tried to relive it again this year. The flows were much higher this year due to the run-off and made parts of the river unwadeable. Although I wasn't able to get very far into the canyon, I managed to hook into some of the baddest and wildest rainbows I've ever hooked on the Middle Fork. Most of the fish I hooked were less than ten inches but the two that were above sixteen inches fought like wild steelhead. The first biggie I hooked was on a streamer and it was not happy when it got hooked. As I stripped my streamer across the river I get the take and the sixteen inch beauty immediately goes airborne. The fly managed to stay lodged in the fish's mouth as it made it's second jump almost two feet into the air. Two more head-shaking jumps later the fly finally comes loose. No fish in the net but damn that was awesome. There were an assortment of caddis and midges in the air and the fish were on them. The fish of the day was found when I observed an adult caddis get smacked as it skipped across the current. It was dry fly time. My first cast with a fresh EC Caddis and I get the take. At first the fish didn't look very big but once it ran downstream into a pool where I could see it, I saw that this fish was at least eighteen inches. The fish of the day would not stay out of the current and after a few minutes of play it threw the hook. Bummer but at least I know that big fish is still out there.